A good majority of the books I read are part of series and I have so many that I enjoy that it was difficult to choose. I finally went back to one of my oldest favorites, The Immortals by Tamora Pierce! You can see that they are very well loved. 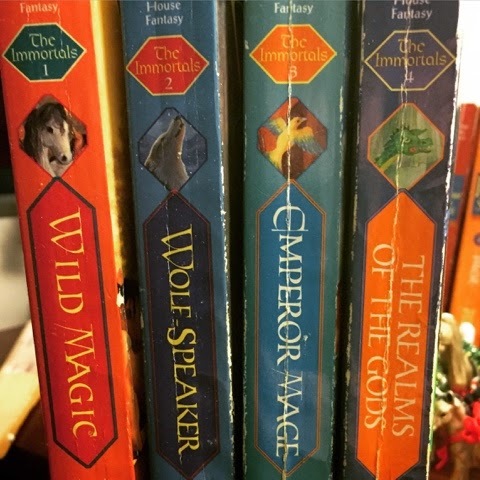 I thought about other Tamora Pierce series, because I so love them all. The Witches of Eileanan series also occurred to me as did the Percy Jackson and Heroes of Olympus books. So many to choose from!